Ed Samane is the founder of the Grandmaster Samane’s Karate System, its methods and the PRO MARTIAL ARTS franchise program. He began this unique instructional program eighteen years ago with the belief that karate should teach not only self-defense, but also character by helping to improve overall attitude, self-worth, fitness, assertiveness, and self-awareness in both children and adults. 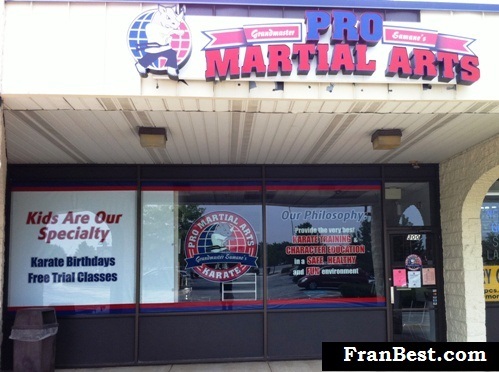 ARE YOU FAMILIAR WITH THE PRO MARTIAL ARTS FRANCHISE? 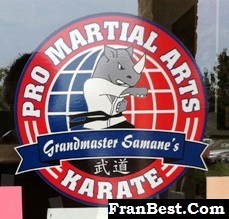 IF SO, PLEASE LEAVE A COMMENT AT MARTIAL ARTS FRANCHISE GUIDE AT FRANBEST.COM.